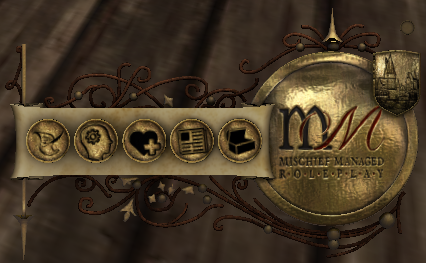 Hello, and welcome to Mischief Managed’s HUD instructions! Without losing much more time introducing, let’s get it started. The HUD keeps track of your character and must be active for as long as you’re In Character. It’s attached to the bottom-right of your screen, and the very first time you wear it character creation will commence. Remember that, if you’re IC, you must be wearing both HUD and Badge.